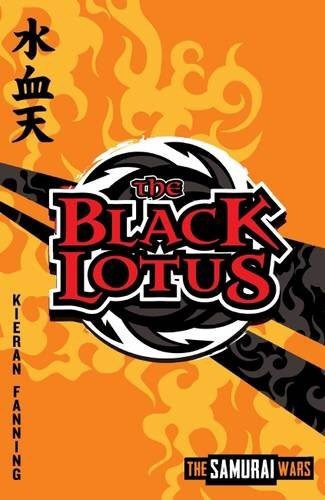 The Black Lotus by Kieran Fanning introduces three kids with extraordinary abilities. Brazilian Ghost can turn himself invisible; Irish Cormac can run incredibly quickly; and American Kate can communicate with animals. The mysterious one-eyed Makoto turns up and recruits each one of them, a bit like the mysterious one-eyed Nick Fury turned up to recruit the Avengers in the post-credit sequences of the early Marvel movies. And there’s a lot of the air of superhero comics about The Black Lotus, too; but there’s a twist. The world of The Black Lotus is an alternative history where a sixteenth century shogun, using the power of two magical swords, spread his Japanese empire across nearly the whole world. By the 21st century, only America is free; but it’s under siege, with President Goda’s forces mustering on the borders. Ghost, Cormac, and Kate are recruited into the secret organisation known as The Avengers The Black Lotus and trained to become shinobi – ninjas – to form a resistance against the empire; but most importantly, to protect the third magical sword, the Moon Sword, which, if Goda got his hands on it, would give him unimaginable power. So when an evil samurai steals the Moon Sword from the Black Lotus base, it’s up to Ghost, Cormac, and Kate to save the day. The Japanese aesthetic adds to the atmosphere of the story, there’s plenty of cool ninja equipment and terminology (with a handy glossary at the back), the story moves from action sequence to action sequence at a terrific pace, and there’s a welcome sprinkling of humour, but it’s the friendship between our three heroes that provides the heart of the book. The story comes to a satisfying conclusion, but has enough loose ends and potential for further stories that I doubt it’ll be the last we hear of the three young ninjas.